I’m not sure why I like it … I think it somehow speaks of an untouched silence. I guess you don’t have to understand why you like something. I just like it. I know I feel the same way. Those same barren trees stare at me everyday from my front door. But in winter with no leaves I love them. 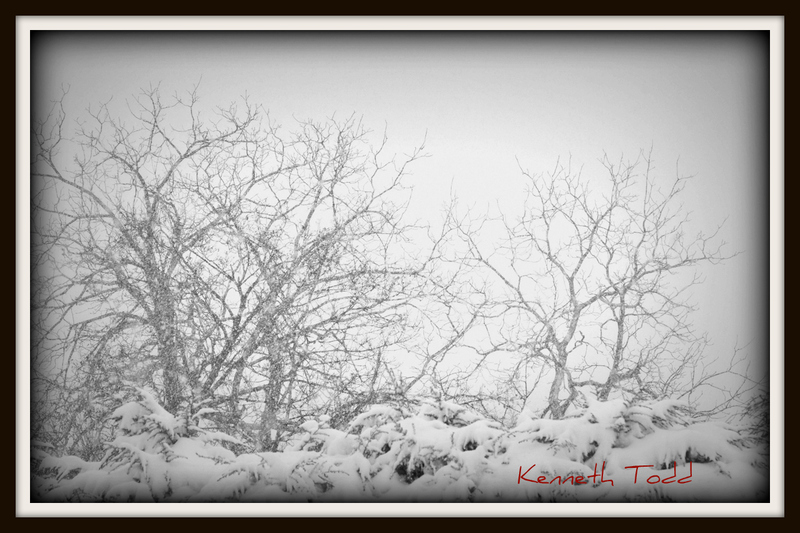 I cant get enough of trees and snow…love the subject matter…I like that there is little contrast becuase there rarely is. Lovely photo. I like the lack of contrast because it seems old and ‘faded’ (a bit like I feel sometimes!) but still has an subtle beauty. Have you tried it in sepia tones as well? I did try Sepia and it looks great too. I am still fan of B&W and rarely use Sepia..
A great site, and if I had only the discipline to do the same, 365. I’m a huge fan of trees and snow and photographs of the two are my most favorite. Great picture! Tks appreciate the comments and Likes.